Found on the state capitol building near downtown Indianapolis. Also considered E. servus, but the BugGuide images of that species all seemed to have rather rounded shoulders. The BugGuide images of E. variolarius all seem to have shoulders that come to very sharp points similar to this one. Unfortunately, I did not think to get a photo of the underside. 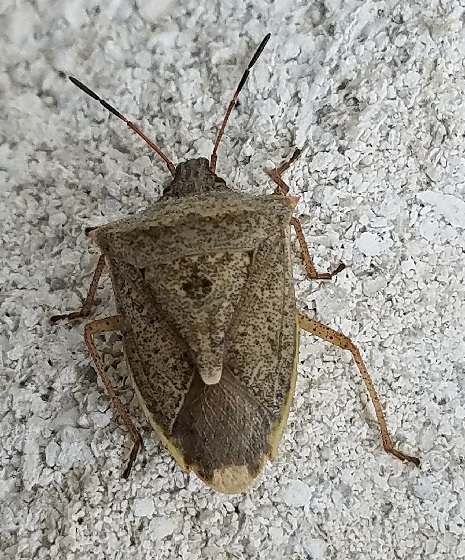 It was just nice to find a stink bug other than the Brown Marmorated around here!